Maravu Plantation Resort is the ideal location for a Fiji wedding or Fiji Honeymoon. The ceremony can be held on the beach, in the gardens, by the pool or at the sunset viewing area with panoramic views of the ocean and outer islands. 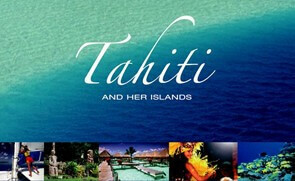 Maravu offers some of the most exotic wedding packages in the South Pacific. Take your vows in the gardens ablaze with tropical flowers… Or at sunset, on the deck, overlooking crystal water… or on the white sandy beach, under the tropical sun. Or custom design your own wedding to suit your dreams. Fiji is For Lovers! A toast in paradise!! Wedding couples toast the start of a new life, with the ever present South Pacific as their perfect backdrop. Personal wedding ceremonies in picturesque tropical settings. Take your vows in the shade of the palms, on the sands of a deserted beach, before a tropical sunset or under the southern stars. You needn’t decide until you get there,. Invite the choir from nearby Bukama village, choose traditional decorations and Fijian dress, or conjure a celebratory feast. A Fiji wedding are internationally recognized and legally binding. What could be better than exchanging your vows on the beautiful island of Qamea? Whether you want your wedding in Fiji to be a private affair or full Fijian cultural experience, our wedding coordinator will make sure your wedding in Fiji is an occasion you will cherish for the rest of your lives. At Qamea Resort and Spa, we have designed three wedding packages which meet the requirements of most of our guests. Customized wedding packages are also available. Imagine arriving at your wedding stress-free and energized. Let the caring staff at Namale do the planning and you’ll enjoy a relaxing day filled with wonder, beauty, and magic. Namale creates an enchanted backdrop for your special day. Your wedding in Fiji is a legal union and can take place any day except Sunday. Simply bring your birth certificate, and let us handle all the arrangements. Vatulele wedding is the fantasy of a lifetime come true. The wedding itself is held on the beach in front of the resort at sunset. Floral archways are constructed from island flowers and palm leaves, and an altar is positioned in front of these. A haven for couples who wish to recapture their romantic spirit. Weddings at Likuliku can range from simplest ceremony to the popular Fijian Celebration. Choice of romantic ceremony locations such as the beach at sunset or on the deck of the horizon-edge pool. We can customize the occasion to accommodate any special needs. Whether you choose to get married on our Private Island paradise, Nanuya Lailai, or on board one of our vessels, the experience will be unforgettable. Sunset weddings on our secluded beach are the most popular, exchanging vows in enchanting tropical conditions with the backdrop of a golden sky as the sun sets on the crystal clear lagoons of the Yasawa Islands. Picturesque sunset, strolls along the beach. Basking on a deserted island with your loved one. Private dinners on the porch of your deluxe bure. Aromatherapy messages for two. Who wouldn’t fall in love in a place where everything is so perfect, and to think, it all could be yours for less than you would imagine. 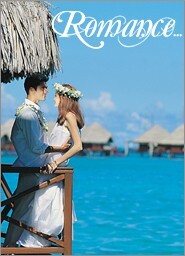 Please contact us for several other resort wedding options. These are just samples of the many weddings available in Fiji. A current passport, birth certificate, and proof of annulment or divorce (if appropriate) are required. The marriage license can be arranged at the local District Offices, and transportation is provided. We can assist you with everything you need to have your legal wedding in Fiji.